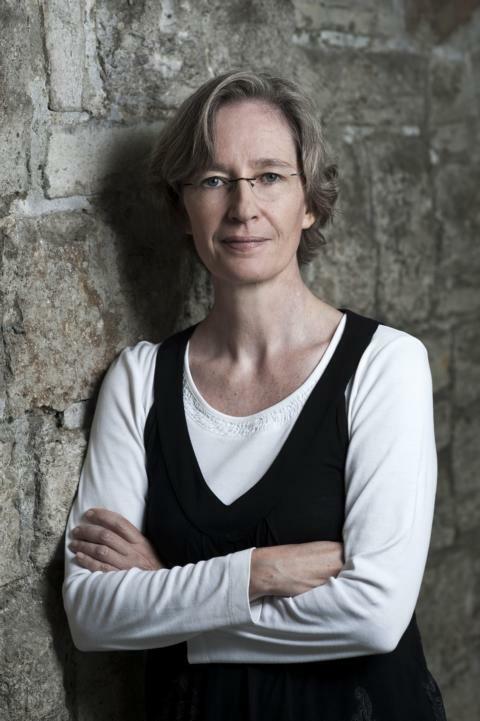 Ulrike Schäfer was born in Munich in 1965 and lives in Würzburg. She studied German, philosophy, and computer science, and taught linguistics and German as a foreign language. Since 1994 she worked as a software consultant. 2007 her first short story was published in a literary journal. Today she writes prose, stage plays, and poems. She received several awards, including the Würth literature price and the Leonhard Frank price for drama. Her stage adaption of the novel „Die Jünger Jesu“ of Leonhard Frank had its première 2015 in Würzburg, 2016 her stage play „Ein Widder mit Flügeln“. 2015 her first prose book „Nachts, weit von hier“ was published by Klöpfer & Meyer. She performs in readings alone as well as with the author group liTrio and the reading stage Großraumdichten & Kleinstadtgeschichten, and also with the award-winning Jazz guitarist Philipp Schiepek and other musicians.